The Resource Centre is the hub of the library and information services of the University. It serves as a creative and innovative tool partner in supporting the teaching, learning, and research activities of the Institute. With the fast growing collection, both in digital and print forms using the state-of-the-art facilities, the Resource Centre is contributing to the University’s mission of becoming a world class University in the areas of Technology, Management and related subjects. 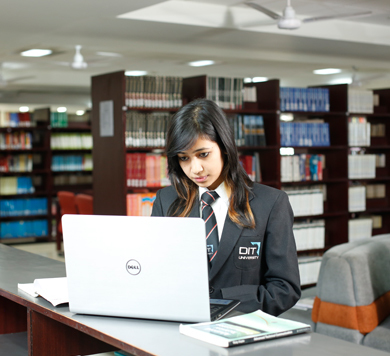 The Resource Centre is a member of the INDEST Consortium, British Council of Library, NPTEL, EDUSAT and DELNET. The Resource Centre is housed in a newly built academic block which is Known as Vedanta, independent and spacious building. The pleasant ambience and the well-furnished Resource Centre with open terraces and spacious reading rooms create an atmosphere of serenity and thereby inspire the learning and research. The collection of the Resource Centre is rich and diverse, especially in terms of the breadth and depth of coverage. 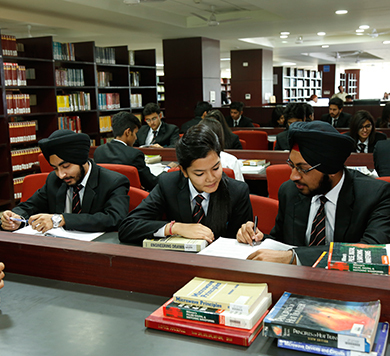 Collection encompasses subjects in communication technology, computer science, electronics, information technology, humanities and social sciences and related areas. This collection includes, books, conference proceedings, reference books, CD-ROMs, VCDs, DVDs, Video Cassettes etc. Currently, Resource Centre has over 1 Lakh books, over 3500 CDs/DVDs, subscribes to more than 202 journals/magazines in print and subscribes to more than 5000 ejournals. Resource Centre collection is growing rapidly and we hope to add four to five thousand unique titles every year. Unparalleled subscription to over 200 national/ international print research journals and 25 magazines. Book Bank Section having approximately 70,000 books and the central library distributed to all the students approximately seven books per semester per student. Database of over one lakh volumes accessible through Online Public Access Catalogue search facility. CD Bank comprising over 5,000 CD-ROMS of books & learning resources. Huge collection of electronic periodicals (e-resources) i.e. IEL/IEEE, Springer, ASTM online and Science & Technology Collection Cengage Learning, Greener etc. Automated circulation with Web OPAC of all reading materials through Libsys software. DIT University is a member of DELNET which offers access to about three million books and other documents through a number of union catalogues, union lists and other databases that are accessible through the INTERNET. Active Member of British Council Library which offers a combination of online and offline products designed to provide users with a holistic and comprehensive information service for users recreational, professional, or reference needs. Member of DELNET, NPTEL, EDUSAT and the British Council Library among others. Reference books including encyclopedias handbooks, conference proceedings books and reference literature on a wide array of subjects including engineering, technology, leadership, research, business, current affairs and the like. Supplement video lectures through NPTEL. 3M Library Security System for round-the clock protection of Library reading materials. 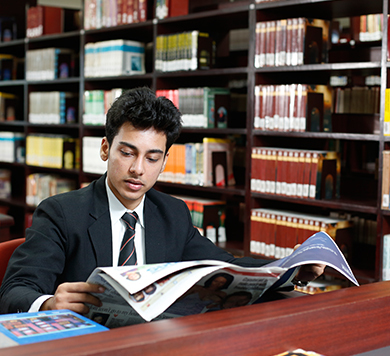 Reprographic section provides photostat, laser printing and scanning facilities within the library. Good collection of Open E-resources.